"In a figurative sense, we too are invited to 'behold the man.' ... So, when you ponder the life and ministry of Jesus Christ, what do you see? "Those who find a way to truly behold the Man find the doorway to life’s greatest joys and the balm to life’s most demanding despairs. "So, when you are encompassed by sorrows and grief, behold the Man. 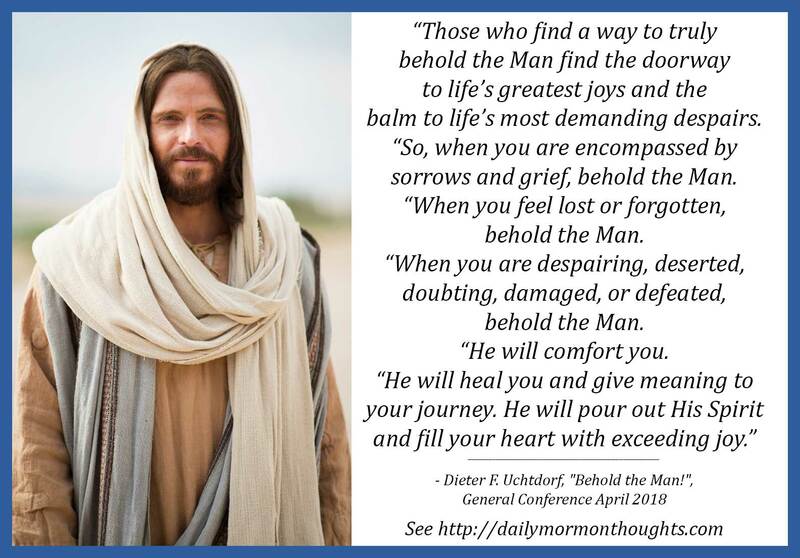 "When you feel lost or forgotten, behold the Man. "When you are despairing, deserted, doubting, damaged, or defeated, behold the Man. "When we truly behold the Man, we learn of Him and seek to align our lives with Him. We repent and strive to refine our natures and daily grow a little closer to Him. We trust Him. 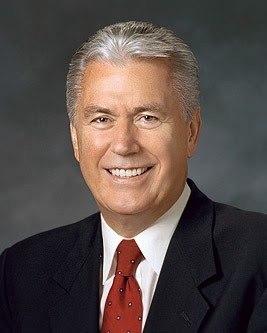 We show our love for Him by keeping His commandments and by living up to our sacred covenants. "In other words, we become His disciples. "His refining light saturates our souls. His grace uplifts us. Our burdens are lightened, our peace deepened. 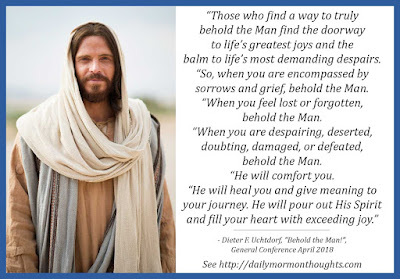 When we truly behold the Man, we have the promise of a blessed future that inspires and upholds us through the bends and bumps in life’s journey. Looking back, we will recognize that there is a divine pattern, that the dots really connect." Power comes when we "truly behold the Man" as we feel the desire to "align our lives with Him" in obedience and spirit, and become His disciples. I love that thought that "His refining light saturates our souls. His grace uplifts us." Truly, there is wondrous power and peace in that path of true discipleship! Labels: Atonement, comfort, discipleship, Jesus Christ, Uchtdorf Dieter F.